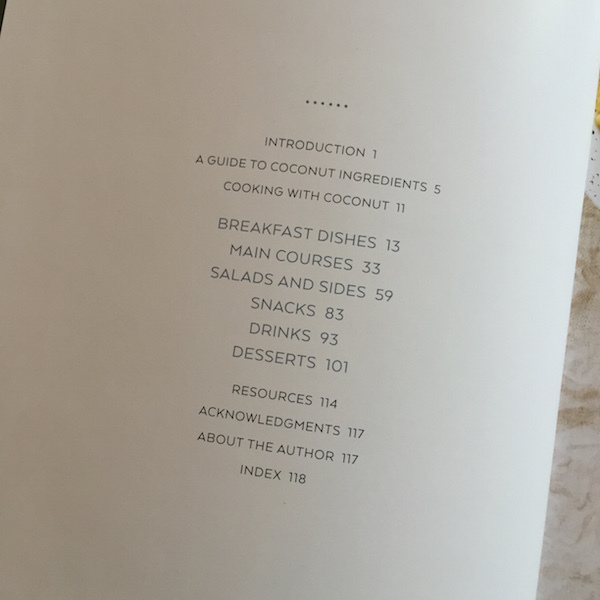 Beautifully compact, The Whole Coconut Cookbook is the perfect little book if you’re trying to get more benefits from coconut oil. 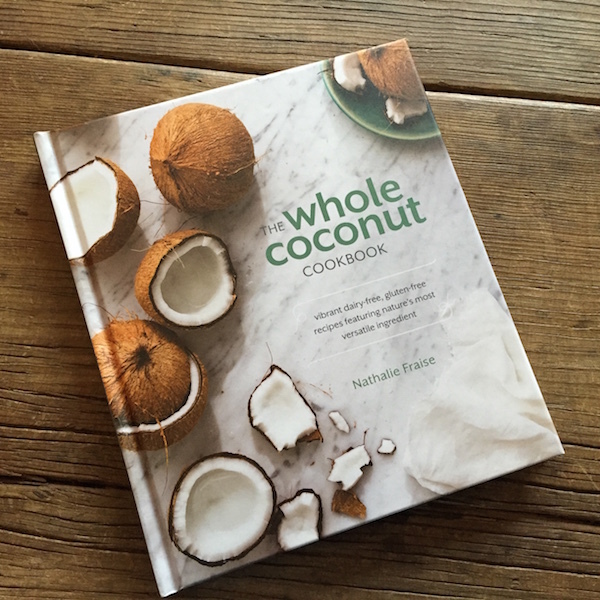 I was interested in seeing The Whole Coconut Cookbook: Vibrant Dairy-Free, Gluten-Free Recipes Featuring Nature’s Most Versatile Ingredient by Nathalie Fraise because I keep hearing doctors raving about coconut’s health benefits. The book starts with a brief introduction, then is organized into the following recipe chapters: breakfast dishes, main courses, salads & sides, snacks, drinks, and desserts. The layout is beautiful and user-friendly, except for one lightweight typeface used in the head notes that’s a bit hard to read. Gorgeous full-page and full-color photographs by Erin Scott are inspiring. Recipes include broccoli rabe butternut squash and tempeh sauté, grain-free pancakes with orange-vanilla whipped cream, spicy coconut ceviche, creamy red lentil stew, coconut sesame noodles with baby bok choy and tamarind dressing, roasted butternut squash and Swiss chard with green coconut harissa, herbed coconut hummus, coconut limeade,and black rice mango sushi. All recipes are gluten-free, low in added sugar (using coconut sugar in its various forms), and made from whole foods. 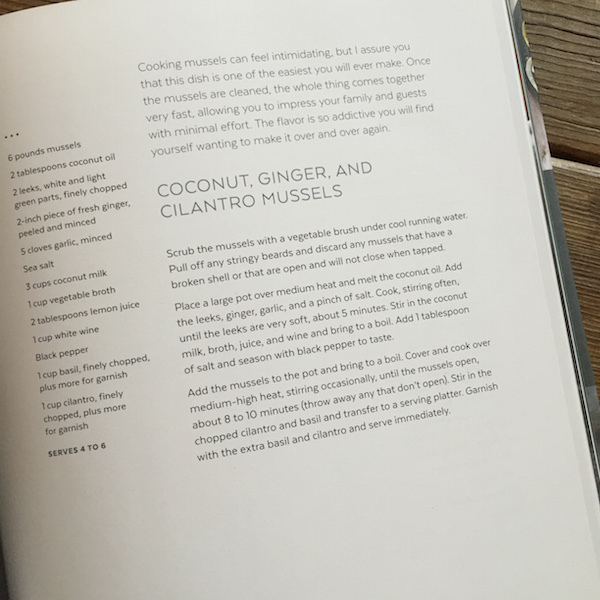 The book is not sold or marketed as a paleo book, so not all recipes are paleo. 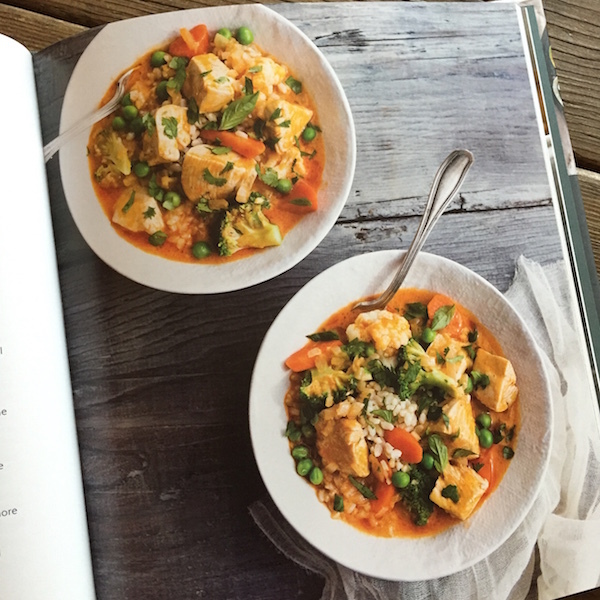 If you are following the migraine diet and are very familiar with substitutions, there are enough recipes in this book that will work (which I usually can’t say.) Same with low-sodium recipes, just omit the sea salt (if included) and most of these recipes will be fine. The author grew up in Madagascar, so has a personal history of using fresh coconut in cooking. She also deals with migraine through healthy food choices. Truly creative uses for coconut in all its forms, plus helpful instructions for working with whole fresh coconuts. Required FTC disclosure: I received one copy of this book from the publisher for the giveaway on April 28th, 2016. I am very interested in learning all the uses of coconut oil, we started using it instead of other oils a while back. I will have to give this a read.